From the start of Queen Elizabeth II reign a 1953 crown (5 shilling piece) formed part of the money given to recipients at the maundy service. This did not really have any historical significance but was thought the recipients would appreciate this gift alongside the maundy money. This tradition continued until 1976 when they ran out of 1953 crowns. In 1977 the silver Jubilee crown replaced this. Since 1978 only ordinary coinage has been included as an additional gift given out to recipients (£5.50). The 2002 maundy service took place at Canterbury Cathedral on thursday 28th March (day before good friday). 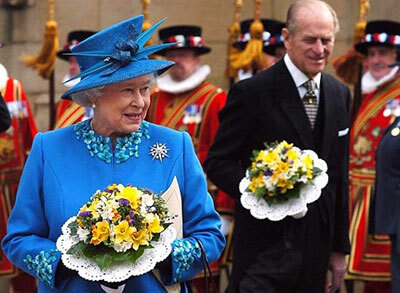 Queen Elizabeth II distributed 76 pence to 76 men and women.The Queen was 76 years old. The effigy of Queen Elizabeth II has not changed on maundy coinage since her coronation in 1953. The designs on the ordinary coinage portraits have changed several times during that period. 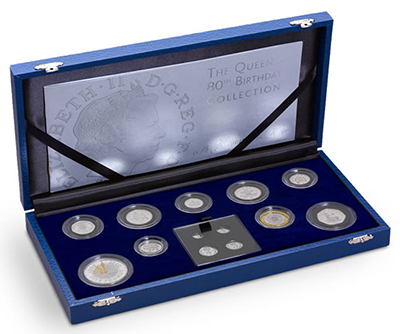 To celebrate the Queens 80th birthday in 2006 the Royal Mint issued a commemorative set of coins (13 coins) which include the maundy set. 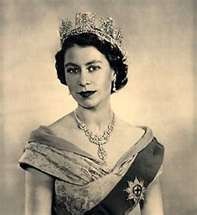 There were 8000 sets were issued - 100 for each year of Her Majestys life. In 2008 the maundy ceremony was held for the first time in Armagh at St Patricks Church of Ireland Cathedral. This was the first time the maundy ceremony had been held in Northern Ireland. 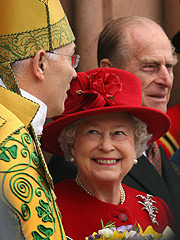 2011 The Maundy ceremony was held at Westminster Abbey. 2017 Maundy service was held at Leicester Cathedral. 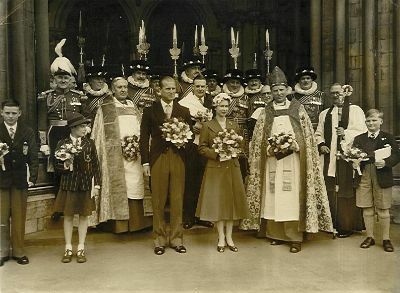 Original photograph of The Queen and The Duke of Edinburgh at the Maundy Service on 18th April 1957. The photograph was taken outside of St Albans Abbey in Hertfordshire. Ellen Arvidsson, nine and her brother Rupert had this performed on them by Dr Rowan Williams during this service. 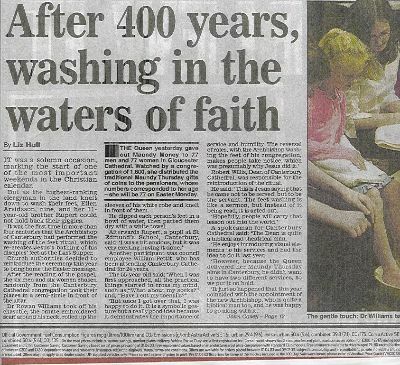 The Archbishop of Canterbury performs the washing of the feet ceremony in 2002, the first time that this had been performed in the last four centuries.